The highly accurate Garmin GPS 19x HVS position receiver/antenna provides up to 10Hz update rates for position, velocity and time data. It offers high-sensitivity reception and enhanced position acquisition to the Garmin family of marine multifunctional displays (MFD), instrument display and autopilots. Compatibility: Compatible with a number of Garmin ranges including the echoMAP and GPSMAP. To view the full compatibility list of Garmin products see below. Compared to units with slower update rates, the Garmin GPS 19x offers dramatic improvement when used at low speeds. Position and course information from slower units can jitter and swing considerably at speeds below 1 mph. The Garmin GPS 19x provides a consistent and smooth heading which is especially important when trying to hit a specific waypoint or mark. The GPS 19x also reflects the true boat heading smoothly and accurately. This is especially evident when coming out of turns. And, the Garmin GPS 19x eliminates position skipping that can occur at low speeds and when turning the boat in an arc. The Garmin GPS 19x maintains a smooth position throughout the turn². Part of the Garmin marine instrument family, the Garmin GPS 19x HVS is built to withstand the elements. This waterproof (IPX7) sensor can be pole mounted or flush mounted. It also can be attached to the underside of many fiberglass decks for added ease of installation. In addition, it also can be configured to have a 1Hz or 5Hz update rate to help support specific installation requirements. ²The GPSMAP 6000 series, 7000 series and newer chartplotters have been optimized to fully use the 10Hz information from the Garmin GPS 19x. What is the GPS 19x HVS GPS antenna compatible with? 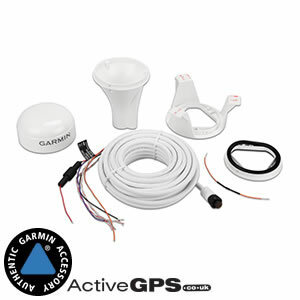 Not sure if the GPS 19x HVS GPS antenna will work with your Garmin marine device? Simply contact us with your Garmin model number e.g. Garmin GPSMAP 3010c and we'll confirm whether the GPS 19x HVS antenna is compatible. Alternatively if you have a question about the GPS 19x HVS GPS antenna our contact page is the place to go to ask us a question.